Cleaning and squeezing limes takes many hours of work. Knorr Lime Powder, top quality lime in easy to use powder format for multiple applications. 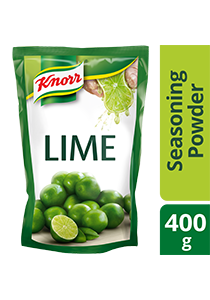 Knorr Lime Powder is a versatile seasoning with the refreshing taste of lime, perfect for many food or beverage applications.